The Republic of Turkey (Turkish: Türkiye Cumhuriyeti) is a country located in southwestern Asia (Anatolia), and southeastern Europe (Thrace), with the two parts of the country being separated by the Sea of Marmara (Turkish: Marmara Denizi), which in turn is connected to the Black Sea by the Bosphorus and to the Aegean Sea by the Dardanelles. 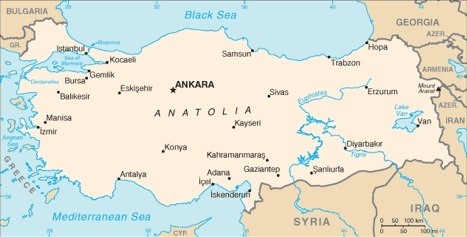 Turkey shares land borders are with Armenia, Azerbaijan, Bulgaria, Georgia, Greece, Iran, Iraq, and Syria, as well having coasts on the Sea of Marmara, the Black Sea, and the Mediterranean, including the Aegean Sea. As of 2007, Turkey had an estimated population of 71,158,647. The largest city in the country, is Istanbul, with an estimated population of about 10.3 million. 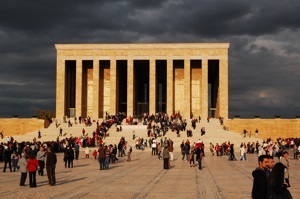 The country's capital is Ankara, which is in the heart of the country and has a population of about 4.3 million. Additionally, there are four other cities with populations of over one million (Adana, Bursa, Gaziantep, and Izmir), as well as more than fifty cities with populations over 100,000. The Turkish economy is sometimes classified as a developed country, but other cases it is considered a newly industrialized country. Either way, Turkey is known for its large agricultural sector and growing industrial sector. Additionally, tourism is growing more and more important, and in 2005 alone. more than 20 million tourists visited the country. Packed with practical advice on everything from how to buy the finest kilims (rugs) to details on catching dolmuses, The Rough Guide to Turkey has all you need to find the best places to stay and eat, with trusted reviews you can rely on and options to suit all budgets. Complete with stunning photography, itineraries to help plan your trip and detailed maps to navigate your way through even the most maze-like towns, it's easy to see why The Rough Guide to Turkey is such an invaluable addition to your suitcase. Ready to experience Turkey? The experts at Fodor’s are here to help. Fodor’s Essential Turkey travel guide is packed with customizable itineraries with top recommendations, detailed maps of Turkey, and exclusive tips from locals. Whether you want to stroll through Istanbul's bazaars and mosques, explore Cappadocia's underground cities, or relax on the country's superb Mediterranean beaches, this up-to-date guidebook will help you plan it all out. • AN ULTIMATE EXPERIENCE GUIDE that visually captures the top highlights of Turkey. • SPECTACULAR COLOR PHOTOS AND FEATURES throughout, including special features on Turkey's fascinating history, the spectacular Topkapı Palace, the archaeological treasures of Ephesus, and the country's exotic whirling dervishes. • MORE THAN 35 DETAILED MAPS to help you plot your itinerary and navigate confidently. • TRIP PLANNING TOOLS AND PRACTICAL TIPS including: guides to getting around, saving money and time, beating the crowds; basic Turkish phrases; and a calendar of festivals and events. • COVERS: Istanbul, Izmir, Ephesus, the Turquoise Coast, Alanya, Antalya, Cappadocia, Konya, Ankara, Trabzon, Mt. Ararat, Mt. Nemrut, the Black Sea Coast and more. Planning on visiting other destinations in the Eastern Mediterranean and Aegean? Mi>Check out Fodor’s Essential Greece, Fodor's Essential Greek Islands, and Fodor's Croatia. Spanning two continents and centuries of history, Turkey is where East meets West and where the modern and traditional are constantly blurred, creating a dynamic and fascinating country that's unlike anywhere else in the world. With Fodor's Turkey, visitors can plan and navigate their visit, from the urban streets of Istanbul to the scenic Cappadocia countryside, and everywhere in-between. Lonely Planet Turkey is your passport to all the most relevant and up-to-date advice on what to see, what to skip, and what hidden discoveries await you. Ride a hot-air balloon over Cappadocia's honeycomb landscapes, walk amid the ancient ruins of Ephesus, or witness the whirling dervishes perform their mystical craft; all with your trusted travel companion. Get to the heart of Turkey and begin your journey now! The Perfect Choice: Lonely Planet Turkey, our most comprehensive guide to Turkey, is perfect for those planning to both explore the top sights and take the road less travelled. Looking for just the highlights of Turkey? Check out Lonely Planet's Discover Turkey, a photo-rich guide to the country's most popular attractions. 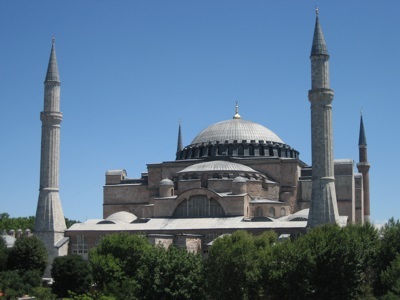 Looking for a guide focused on Istanbul? Check out Lonely Planet's Istanbul guide for a comprehensive look at all the city has to offer, or Lonely Planet's Pocket Istanbul, a handy-sized guide focused on the can't-miss sights for a quick trip. Authors: Written and researched by Lonely Planet, James Bainbridge, Brett Atkinson, Chris Deliso, Steve Fallon, Will Gourlay, Jessica Lee, Virginia Maxwell, and Tom Spurling. *Bestselling guide to Turkey Source: Nielsen Bookscan. Australia, UK and USA, April 2011 to March 2012.